This is a very traditional style Swedish apple cake that is quite a way removed from the apple pies that is more traditional here in the UK. It is more along the line of a pound cake. The recipe gives you quite a lot of apple cake so some of it was brought in to work for my colleagues to try. Based on the feedback I was given, and the fact that no one died or took seriously ill, I'd say that this cake was quite the success. Enough winding up of what Sir David Attenborough referred to as 'the lesser Swedes'* in one of his TV series. Let's look at the recipe now. Whisk the eggs and sugar until nice and airy. Mix in the flour and baking powder. Add the milk and butter. Pour the batter into a deep baking tray ( 38 x 28 z 6 is the size of the one I used) that you have lined with parchment paper. Mix the sugar and cinnamon in a bowl. Turn the apple wedges in the sugar and cinnamon mixture and then put them into the batter in a nice and orderly fashion. Pour any remaining sugar/cinnamon mix over the batter and apples. Put the baking tray into the oven and bake for 25 - 35 minutes or until a knife you insert into the batter comes out dry. Remove the baking tray from the oven, let it cool down a little bit and cut the cake into squares, rectangles or other shapes of your liking. *this may or may not be true and totally made up by me right now. Very very nice, might have to make this today. Turning apple wedges in sugar and cinnamon and then "put them into the butter" had me confused but I assume it's meant to read "batter" rather than "butter" (I'm sorry, it's the dreaded grammar nazi out again). Many thanks - both for the kind words and making me aware of my fat-fingered typo. ;) All corrected now. Your serving suggestion is most excellent! Sa lange det ar gott, intressant och kanske lite annorlunda sa spelar det ju ingen roll var receptet kommer ifran. Att man sedan kan inspirera folk att testa mat fran ett annat land ar ju bara en bonus. Hade en snabb titt pa din blogg, ser valdigt trevlig ut. Skall titta vidare ikvall nar jag kommer hem fran jobbet. ...Apart from that, it tasted delicious, thanks ! I know... I've been keeping a very close watch on over my shoulder - just in case there's some revenge coming my way. I don't think I had tasted it for at least 13 - 15 years until I made it again. 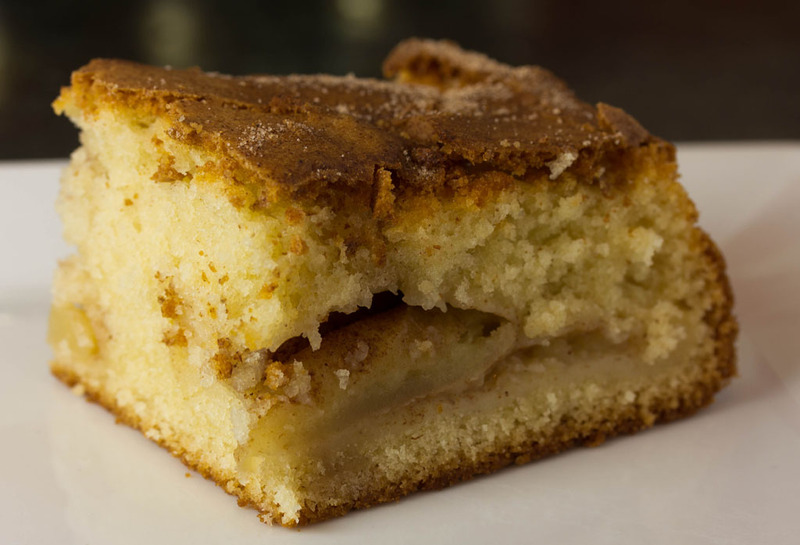 omg i have been looking for a recipe for a Swedish Apple cake and voila! thanks soo much! Glad you found something of use here on the blog. Please do let me know how the recipe works out for you. just one suggestion, if you can take more pictures on how to make it that's really great.